Here's a bit of code that I'm using on a personal project of mine. 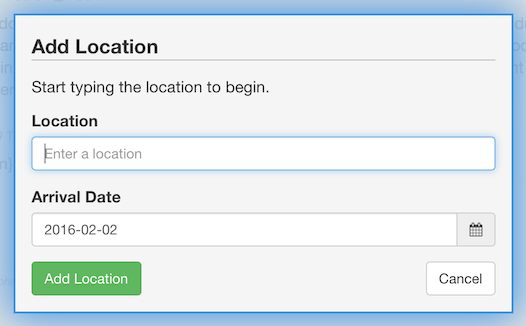 This code uses the Google Maps Places API auto complete feature without having to display a map. This means you get a text input box where you can start typing in Google Maps locations and fit it into your standard HTML forms. There is a full places auto complete example on Google's pages but it only shows how to do it with a map present. That's pretty much it! 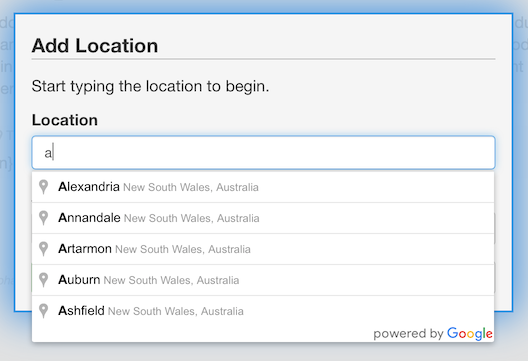 The input text box will now allow you to start entering locations and will attempt to auto complete them for you.